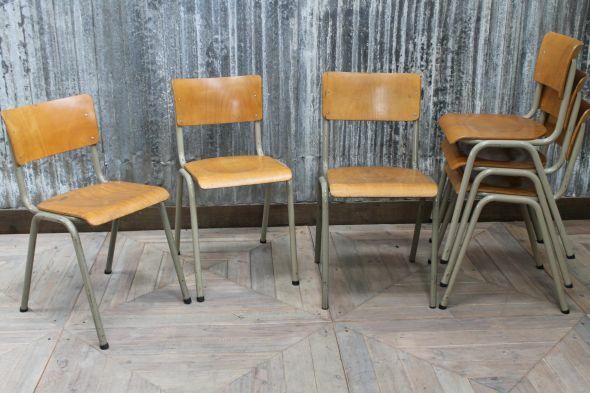 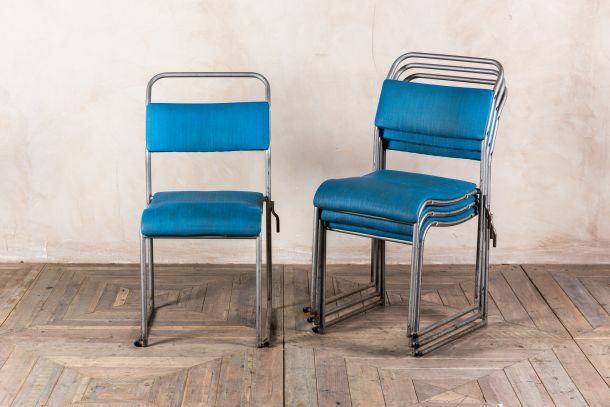 A funky addition to our collection of original seating, these blue stacking chairs would be a colourful addition to a cafe, restaurant or office. 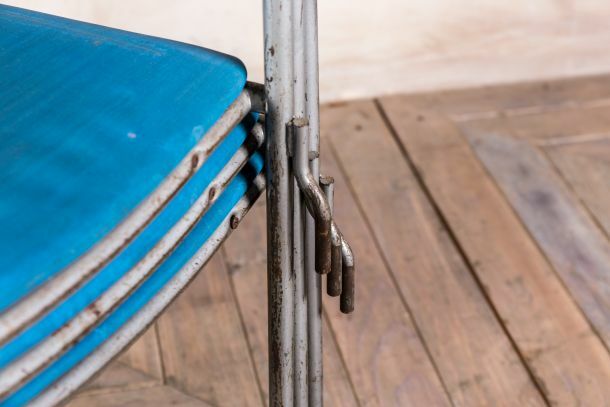 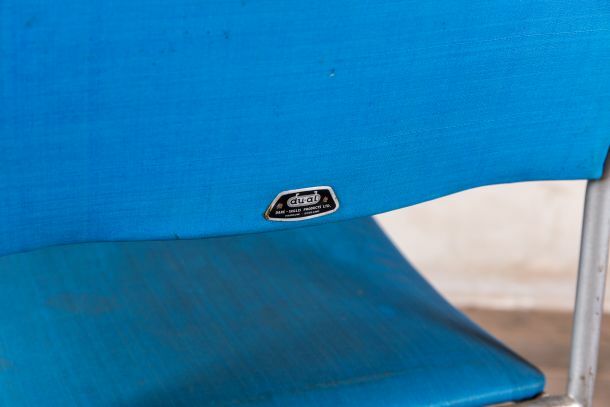 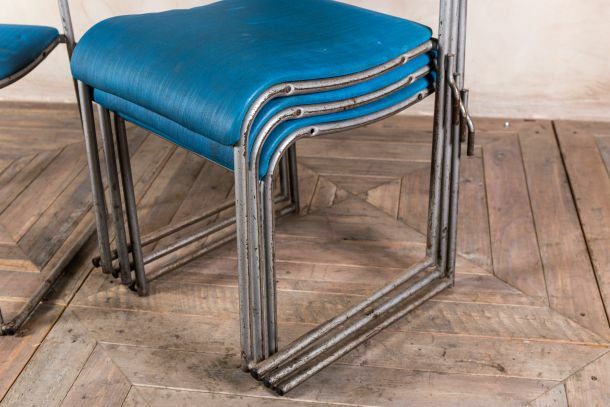 Each chair features a tubular steel frame, which has developed an industrial appearance over time due to the loss of some paint, and a blue upholstered seat and back rest. 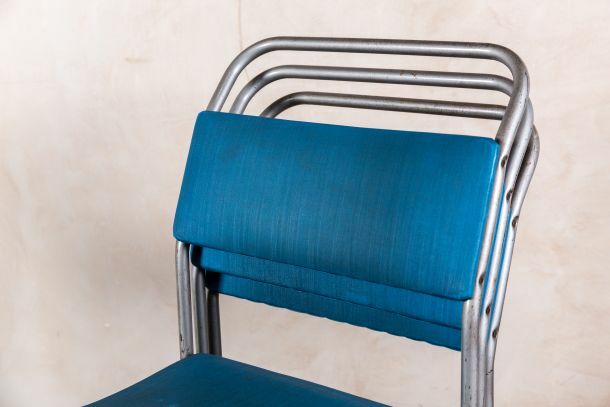 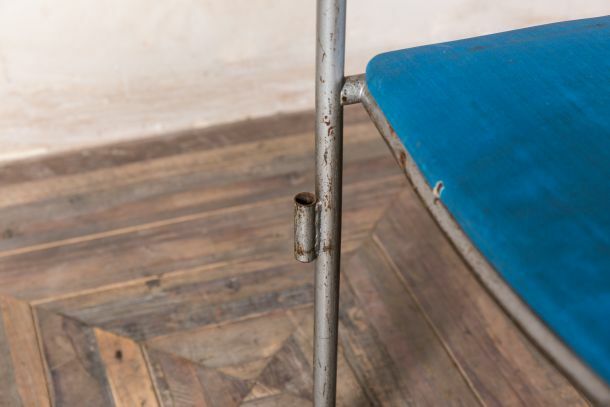 The chairs are upholstered in a retro blue fabric, making them a great choice for a vintage themed space. 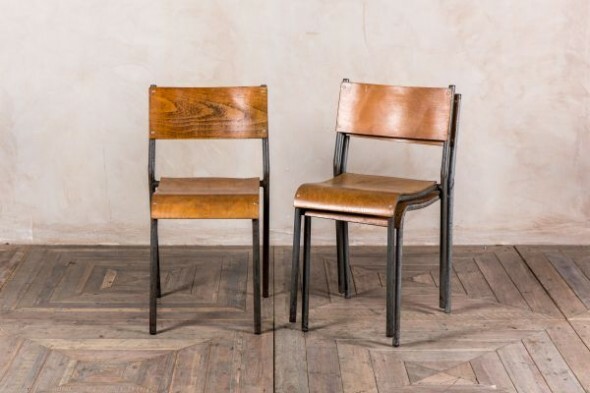 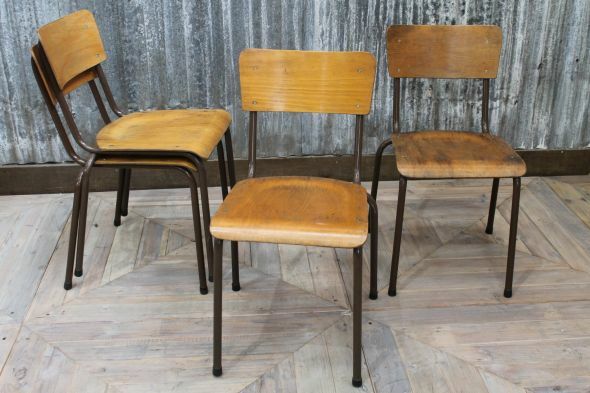 As the chairs are original vintage items they may show signs of wear, however we feel that this only adds to their character.